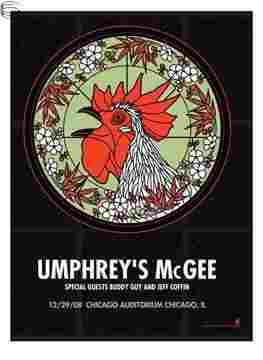 This Umphrey's McGee concert poster is from the Chicago Auditorium performance in 2008 featuring special guests Buddy Guy and Jeff Coffin in Chicago, Illinois on December 29th. Signed by poster artist and numbered out of 350. The poster measures approximately 24" x 18".